The latest North Mid Staff Awards took place at the iconic Alexandra Palace again; the Trust’s third employee recognition ceremony and the third that WDAD have now helped to project manage. As with the two previous events, the enthusiasm and excitement generated by those nominated and all their peers that attended the evening was evident from the start. The event was a chance to celebrate the Trust’s values and its people that live and breathe them day-in day-out. 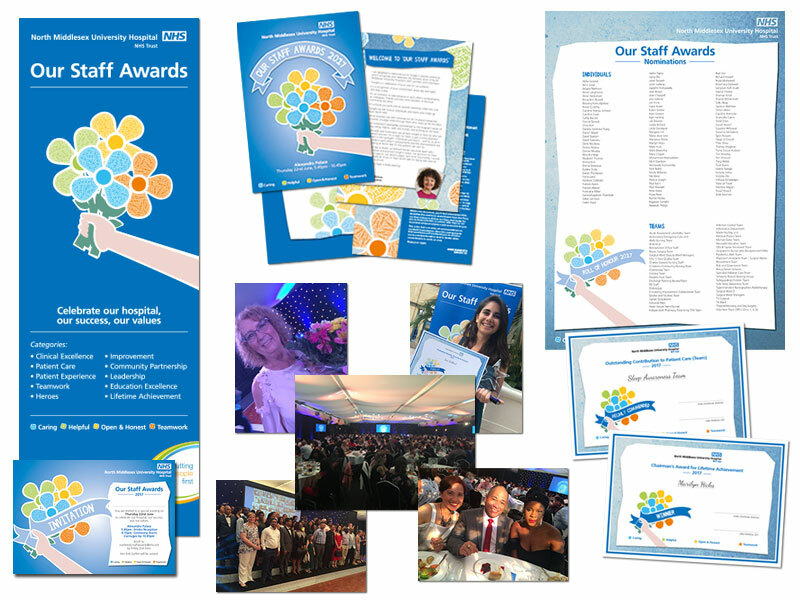 In total some 400 nomination were received across 14 categories, which was the highest number to date and shows their growing value and appreciation by the employees at the Trust. In addition, another values-based employee engagement initiative – Star of the Month – was also recognised for the first time at these awards, with all individual and team winners over the year being called up to the stage to be acknowledged and applauded by their peers and colleagues. In addition, these factors combined with a joined-up and well executed recruitment strategy have exceeded even the Trust’s own expectations. Against a target of 5%, they have reduced their overall vacancy figure from 11.6% to 4% (and brought that of nursing staff down from 10.2% to 3.7% in under a year). In a difficult recruitment marketing environment, that is a truly remarkable achievement.